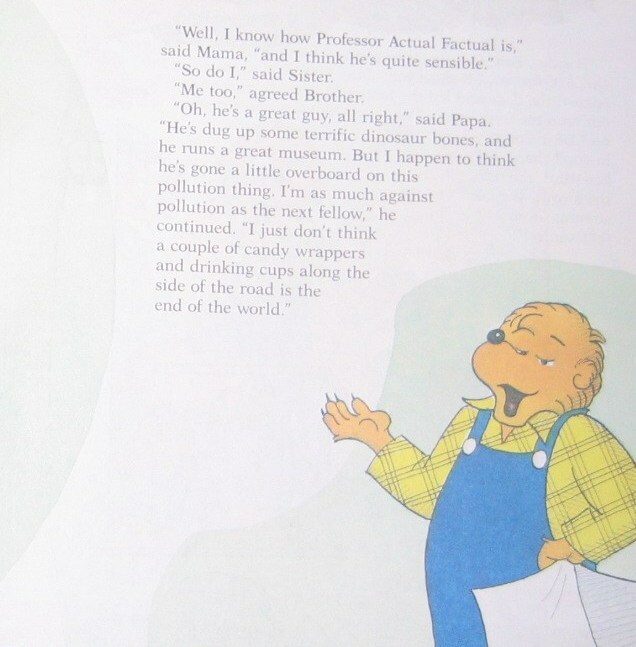 When careless citizens pose a threat to Bear Country's environment, Brother and Sister Bear form the Earthsavers Club. Their spirited ecological efforts deliver a timely message about the urgent need to mend our polluting and wasteful ways. This book shows kids of all ages how important it is to take care of the earth. Not only does it give examples of how pollution can affect our society, but it also explains what children can do to help. It gets them intrested in nature and the environment surrounding them. The authors cleverly added a special twist to the story, about right and wrong. When my three year old cousin comes over, she enjoys reading the Berenstain Bears. I've noticed that she favors this one and I highly suggeat that you at least check this book out at the library. 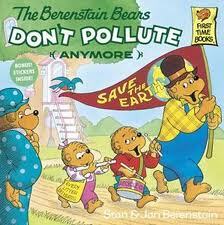 * Stan and Jan Berenstain were both born in 1923 in Philadelphia. They didn't know each other as children, but met later at school, at the Philadelphia College of Art. They liked each other right away, and found out that the both enjoyed the same kinds of books, plays, music and art. * During World War II, Stan was a medical assistant in the Army, and Jan worked in an airplane factory. When the war was over, they got married and began to work together as artists and writers, primarily drawing cartoons for popular magazines. 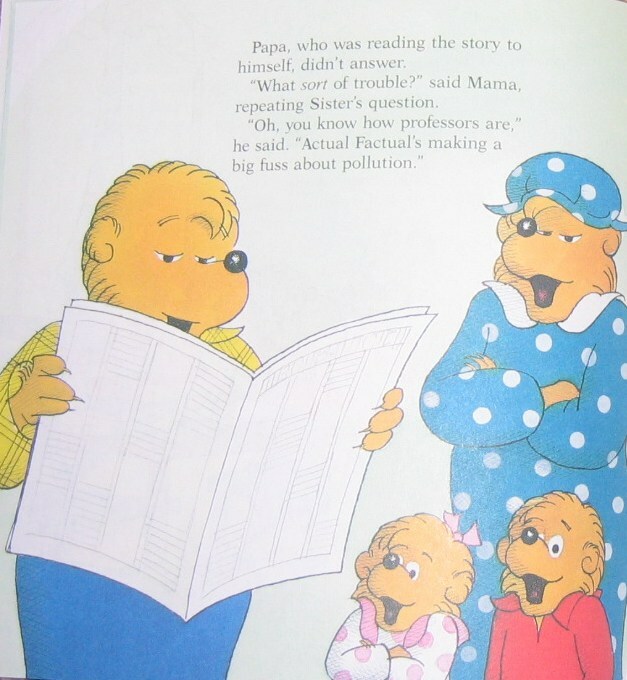 * After having their two sons Leo and Michael, the Berenstains decided to write some funny children's books that their children and other children could read and enjoy. * Their first published children's book was called The Big Honey Hunt . 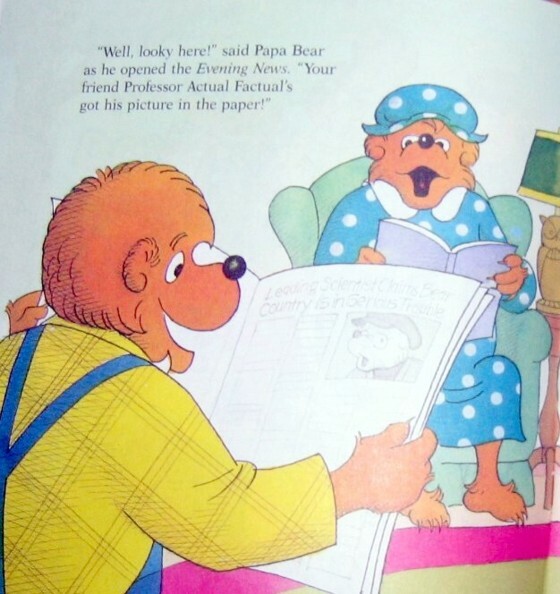 It was about a family of bears, who later became known as the "Berenstain Bears". * Over 50 children's books later, Stan and Jan still plan all of their books together -- both write the stories, and both write the pictures. They live outside of Philadelphia in the country.